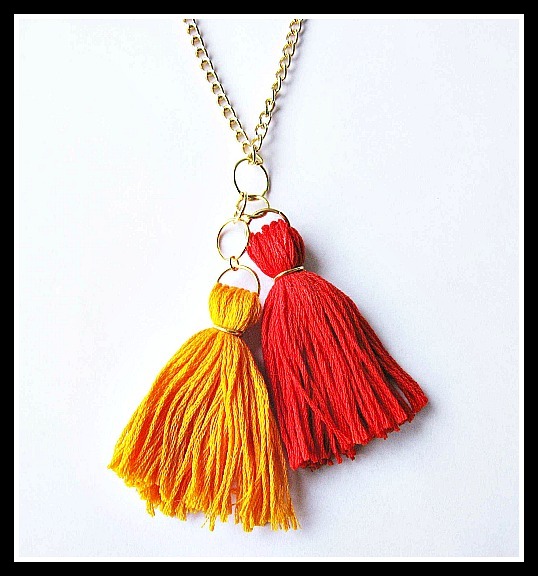 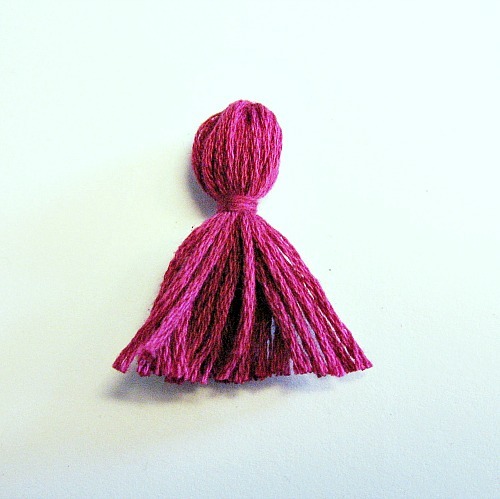 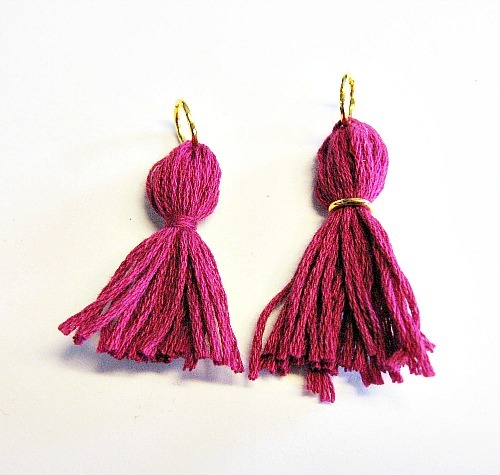 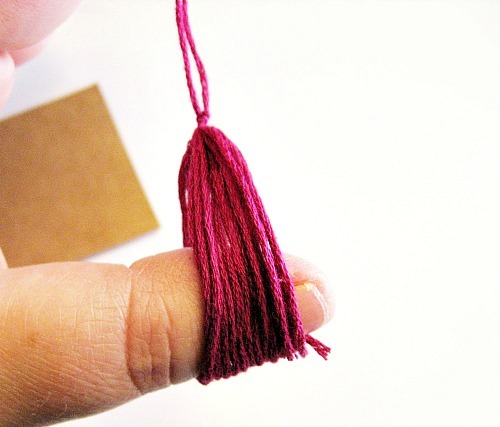 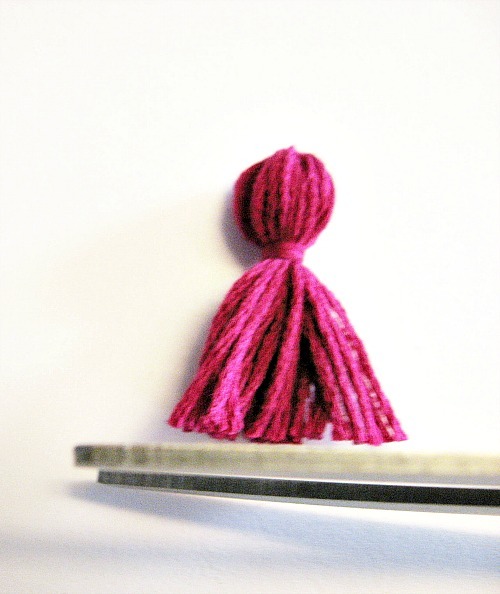 We have been asked by some of our readers on how do we make our little tassels. 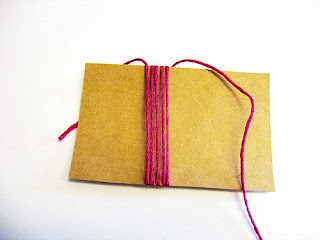 Today we are going to show you how to make them. 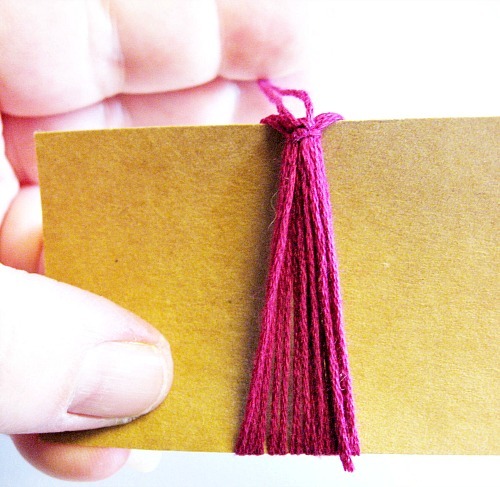 These great easy little tassels are used on some of our jewelry designs, but they can also be use in so many other projects. 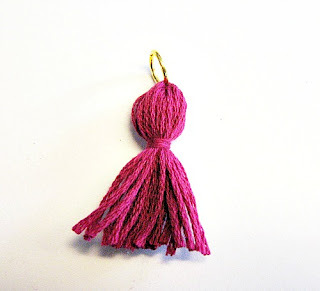 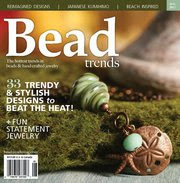 You can use these tassels on packages, jewelry, pins, zippers, curtains, etc. We hope you enjoy this DIY tutorial. 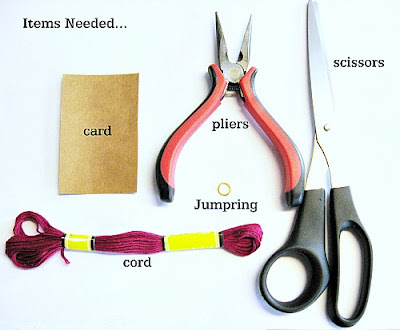 Let's have fun creating! Take the colored cord of your choice, wrap the cord around your card 15-20 times. 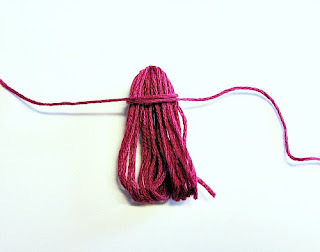 You can wrap your cord more if you want your tassel to be thicker. 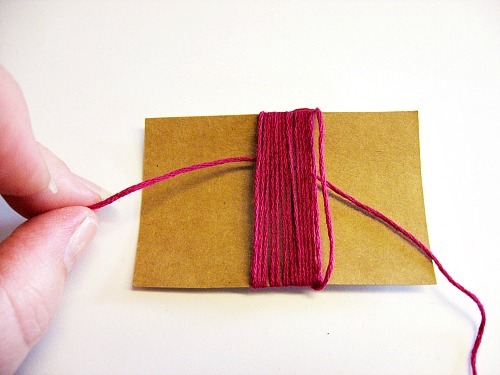 make sure to hold you cord with tension while wrapping. 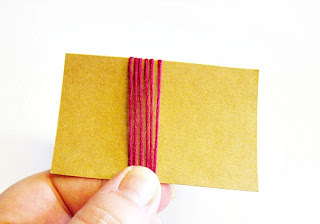 Once you are done wrapping your cord around your card, cut the cord. 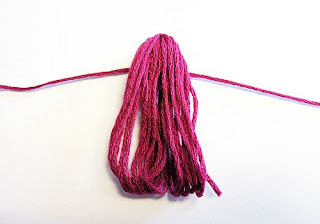 Then cut another 3 inch piece of cord. 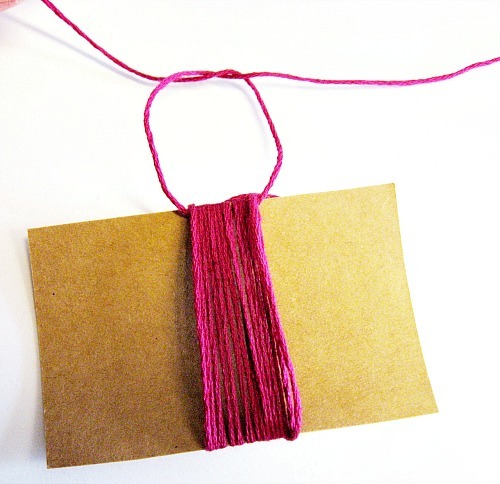 Slide it between the cord and the card as shown in the above picture. 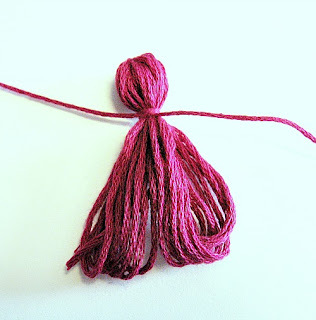 Bring your cord to the top of the tassel and tie a double knot. As shown above. Hold the tied part of your cord and slide your tassel off of the card. 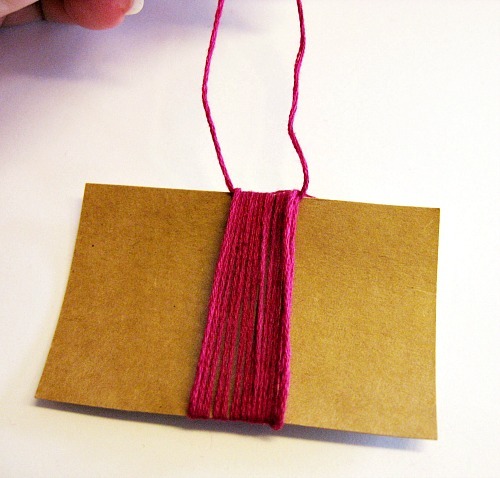 Trim the tied cord. then turn the knot under your tassel, to hide your knot. 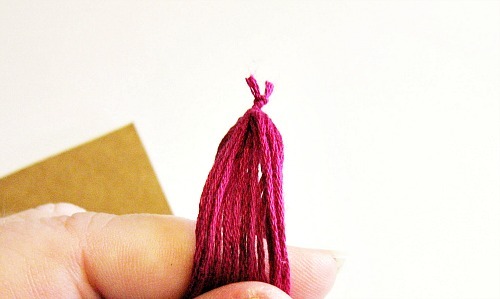 Cut another piece of cord, enough to wrap around your tassel twice. 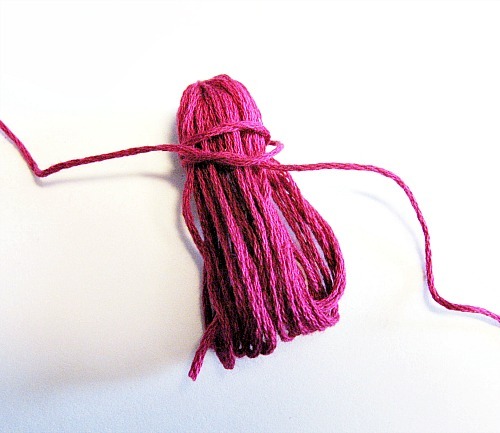 Pull tight and tie a double knot. As seen above. Then let the tied cord fall and blend in with the other strings. Cut all of the strings so that they are even. Take your 10mm jump-ring and attach it to the top of your finished tassel. Your Done! We hope you enjoyed this tutorial on how to make a tassel. 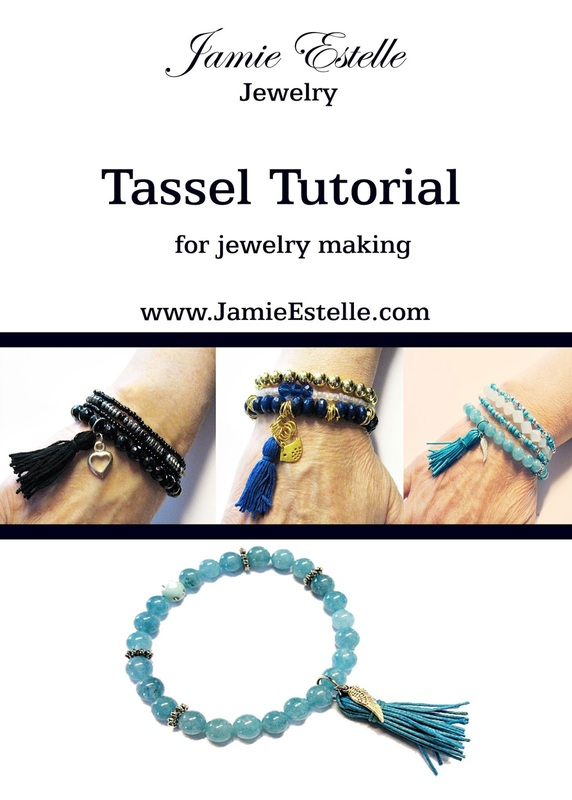 If you have any questions please post and I will get back to you as soon as I can. Again thank you! 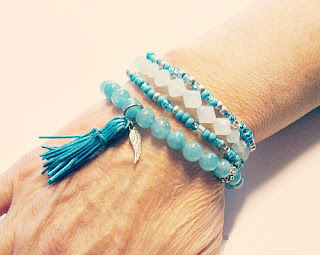 till next time..
You can find these looks and more here!